It’s been so long since I’ve posted that you folks would be justified in concluding that I’ve gone to that great Science Fiction Convention in the sky to commune with Isaac Asimov and Robert Heinlein. That, would, in fact, be interesting because I know Asimov didn’t believe in heaven, but I digress. In any event, I’ve had some horrific health problems, the details of which are too boring and unpleasant to relate here, including a few surgical procedures. Some of the issues–out of control diabetes, sleep apnea, leg infections, narcolepsy, and other stuff–all messed with my brain and made writing difficult or impossible. I am on the mend, though, and have been getting some writing done. So, here’s the news that people ask me for in virtually every forum in which I appear on line on an almost daily basis–what’s coming from my pen. What is most asked about is the next Max Robichaux novel, To Stations My Lads. It is a ways out–expect it sometime next year. I am hoping to get it to the publisher before Thanksgiving. To whet the appetite, there will be a novella soon: “The Hunters of Vermin,” a prequel to the novels and a follow on to my earlier novella, “Deadly Nightshade.” It’s another tale of the young Max Robichaux and his adventures after being kidnapped by the Vaaach and transported 14,000 light years to the Crux-Centaurus arm of the galaxy. I’m trying to get it done in the next few weeks. I may post a sample shortly. I’ve got convention news, as well, but I’ll put that in a separate post to make things easier for the search engines. Thank you for your patience. It has been a difficult two years. There were times when I literally thought I was going to lose my toe if not my foot or even my leg. But, it seems that I’m going to get to keep all of my limbs for now. And, those of you who saw me hobbling around at CONDORCON with a cane several months ago will be glad to know that the cane is in the garage gathering dust. I’m walking just fine and, in fact, am walking 45 minutes a day on the treadmill. For those who did not hear the live broadcast, the third episode of Science Fiction Spotlight Radio is online and ready for you to listen to it as a podcast. 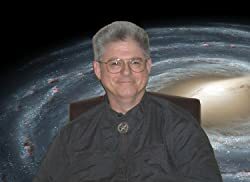 The guest is Matt Mather, one of the world’s leading thriller writers who has turned his hand to writing Science Fiction with his new Nomad series. The interview went very well and spanned subject ranging from the popularity of Apocalyptic fiction to the enduring legacy of Isaac Asimov. It’s a good listen and well worth your time. Hear Paul’s interview of Matt Mather! Here’s a quick update as we approach what I’m calling “Publication Day.” Pre-orders have started to pick up today, with the 47North Edition of “To Honor You Call Us” right now posting at the #94 on the Amazon Bestseller for Kindle E-books, War and Military and in the top 40 on four Hot New Release Lists. I also remind everyone who has read the self-published edition that the 47North Edition is MUCH improved over the original, with new scenes, new characters, and a tighter narrative. Not to mention fewer typos, etc. If you liked the previous edition, you should love this one. In addition, folks should remember that this edition is available as an audio book, either on CD or as an Audible.com download. I haven’t heard the audio version, but the narrator (Ray Chase) and the audio publisher (Brilliance) are both outstanding. I think that this is going to be a good product.